Thomas Lowenstein has contributed to the American Prospect magazine and the Philadelphia City Paper. 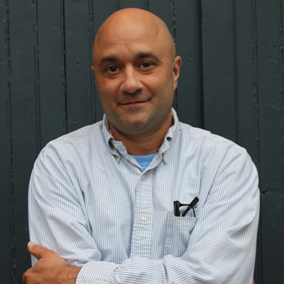 He is the founder of The New Orleans Journalism Project, which works with journalism students on stories related to criminal justice, and was formerly policy director and investigator at Innocence Project New Orleans, an editor at DoubleTake magazine, and a teaching fellow at Harvard. He lives in New Orleans. This engrossing investigation into the tragic 1988 murder of four-year-old Barbara Jean Horn and its aftermath leads readers through the facts of the case in compelling, compassionate, and riveting fashion. Award-winning journalist Thomas Lowenstein makes an evenhanded case for the wrongful conviction of Walter Ogrod, a man with autism spectrum disorder who has been on death row since 1996. Informed by police records, court transcripts, interviews, letters and journals, and more, Lowenstein relates how Ogrod was convicted based solely on a confession he signed after 36 hours without sleep and how his fate was sealed by an infamous jailhouse snitch. Presenting explosive new evidence, Lowenstein exposes a larger pattern of prosecutorial misconduct in Philadelphia.